Eric Zweig’s expertise in matters concerning hockey history is shared out, along with his enthusiasm, through a score of books. 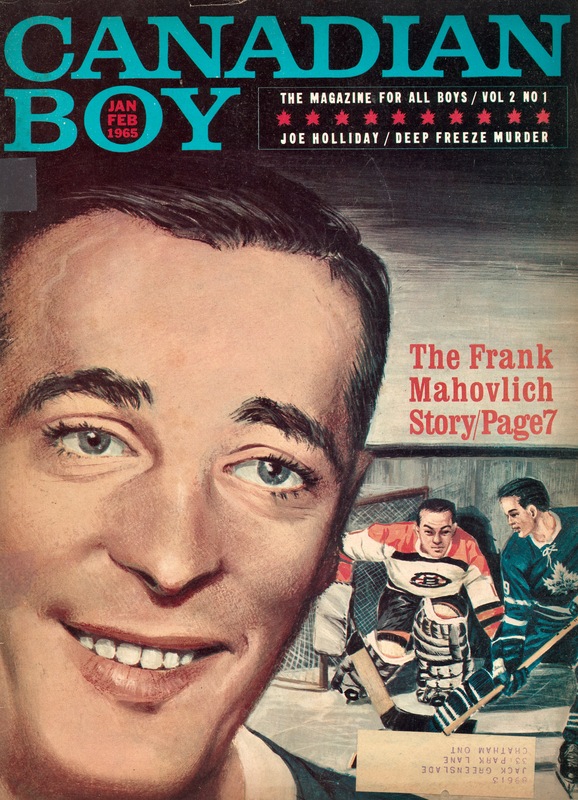 His first was a novel, Hockey Night in the Dominion of Canada (1992), about the Renfrew Millionaires. 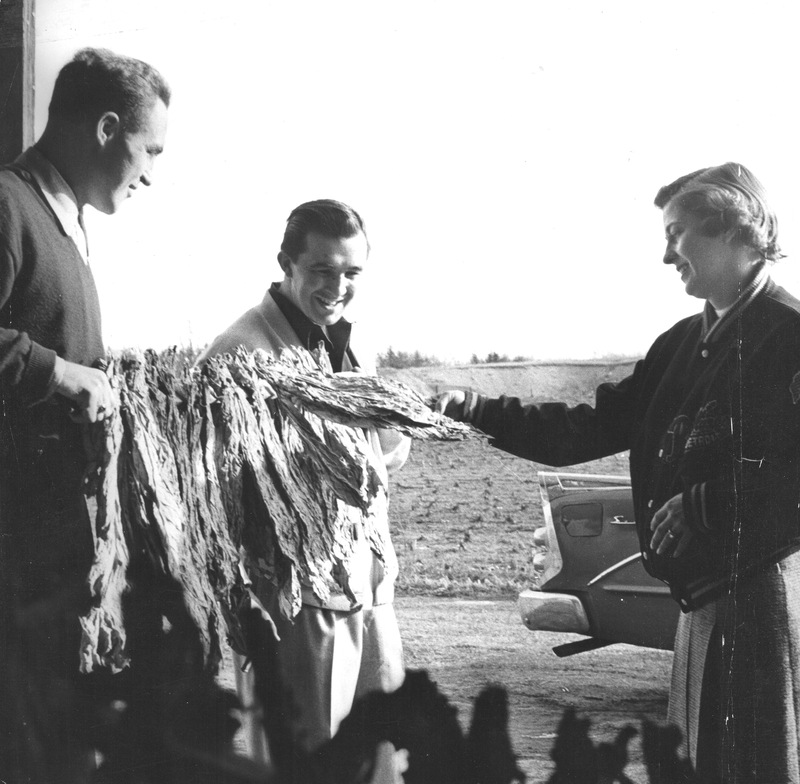 In recent years he’s published a deep-delving biography, Art Ross: The Hockey Legend Who Built the Bruins (2015), and, this fall, the comprehensive Toronto Maple Leafs: The Complete Oral History. 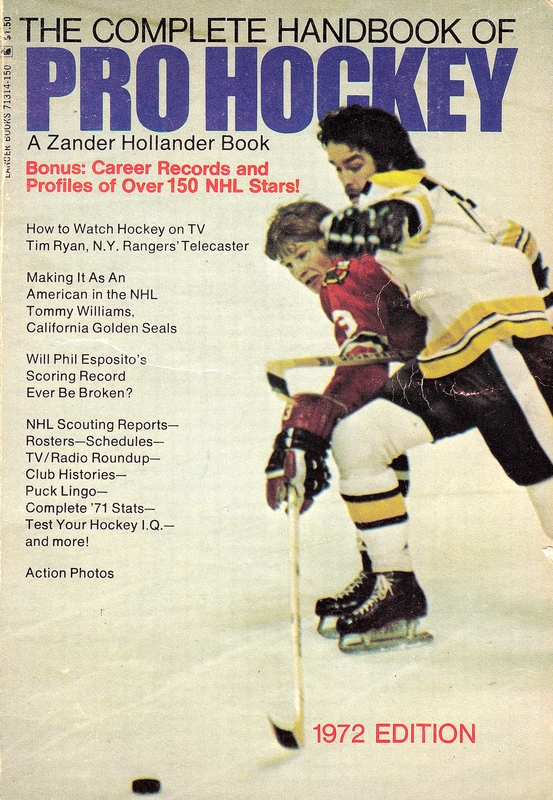 Zweig, who lives in Owen Sound, Ontario, is a member of the Society for International Hockey Research, and has been one of the editorial forces helping to shape the NHL’s Official Guide & Record Book. You can find his work in the pages of The New York Times and elsewhere, as well as on his lively blog at http://www.ericzweig.com. Today, as part of Puckstruck’s ongoing series, he weighs in with memories of his earliest first-hand encounters of big-league hockey. 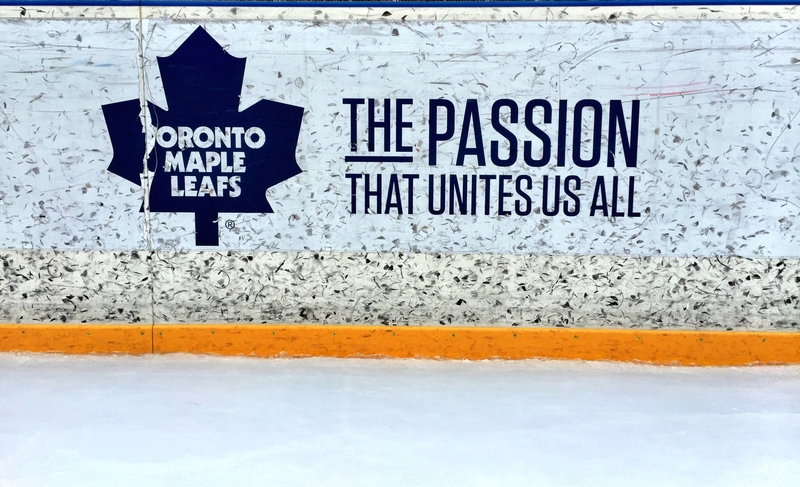 I grew up in Toronto and attended my first NHL game when I was seven years old. The date was December 30, 1970. It was a Wednesday night during the Christmas holidays. The Maple Leafs always seemed to play at home on Wednesdays and Saturdays when I was a kid. This night, they were playing the California Golden Seals. The Leafs won 3–1. I was one of those youngsters! 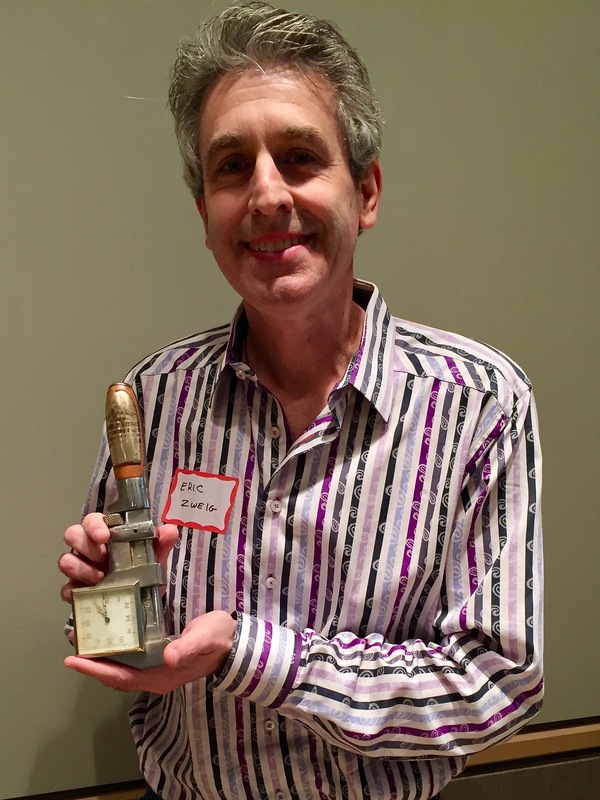 Author and historian Eric Zweig shows off a famous wrench. Hurled (the wrench) at Toronto GM Charlie Querrie in the early ’20s, it was later fitted with a clock and given as a gift to Boston’s Art Ross. Now, I’ve always been a person with a great memory for places and dates (though, sadly, that’s not quite as true as it used to be on the other side of 50). That being said, I have realized over the years that I don’t actually have a great memory for visual details. All I really remember about that first game was the score, the teams, and the fact that Plante played so well. (Also, the troughs for urinals in the men’s washroom. Gross!) I had to look up the rest. Even so, I would have to say that, before that game, I have no memories of hockey whatsoever. Since that game, I have been a lifelong fan. I wish I could remember more from that night, but really, I was lucky enough to attend many games in Maple Leaf Gardens over the years (Leafs, Marlies, Toros) and most of those from my younger days blur together. I’m pretty sure the next Leafs game I attended was December 26, 1973. Another Wednesday night during the Christmas holidays: Toronto beat Montreal 9-2. I was there with my brother, David, who had turned eight the day before. I was 10. We went together, by ourselves, on the subway. Imagine anyone letting children do something like that today. It was Norm Ullman’s birthday, and David and I carried a homemade sign that read “Leafs Win For Norm” using a team logo for “Leafs” and the number 4 for “For.” I remember the older kids who sat next to us saying that would have been a lot smarter of us if Ullman wore #4 instead of #9 … but that didn’t stop them from leaning in and trying to get on television every time we held up our sign. Among my most vivid memories over the years was seeing Gordie Howe in the stands at a Marlies game during the 1972-73 season. He was watching his sons, Mark and Marty. Two years later, I saw all three Howes at the Gardens again, this time playing together for the Houston Aeros against the Toronto Toros. But one thing that lingers most strongly in my memories of Maple Leaf Gardens has nothing to do with the action on the ice. It’s of an ancient-looking woman working in the concession stands using her bare hands to place a hot dog I’d ordered into a bun. It was a long time before I ate a hot dog at the Gardens after that. unlamented, unloved, misery, big whoop, defunct, blighted, arse-over-teakettle, implode, benumbed, laughable, how many times and how many ways can you say: Oh. My. God. irrelevant, plague of inertia, ignominy, moribund, the team’s loutish character, comedia del hockey. This isn’t the first time the Leafs have missed the playoffs, of course, even if it is among the ugliest cases in recent memory. Counting back to 1917 and the dawn of the franchise, Toronto teams have avoided the playoffs about a third of the time, 32 of 97 seasons, or more than twice as often as they’ve won Stanley Cups. Actually, in fact, Toronto is the playoffs-missingest team in the history of the NHL: no team has fallen short more than they have — though the New York Rangers are a close second, with 31 futile campaigns to their credit. With that in mind, before Shanahan’s future takes hold, there’s just time to review what lies behind, in the past, in the Leafs’ forlorn history of not being good enough. In 1957, Leafs’ majordomo Conn Smythe took sole responsibility for his team’s — I don’t know what you want to call it, demise? downfall? collapse? Anyway, Toronto missed the playoffs that year for the first time in four years, and just the fourth in 27 seasons. “A year of failure,” Smythe called it at a “flamboyant” press conference he felt the need to hold in New York, where the NHL governors were meeting while the Leafs played out their season. They still had a couple of games left, but Smythe wanted to get a headstart on the post-season turmoil. 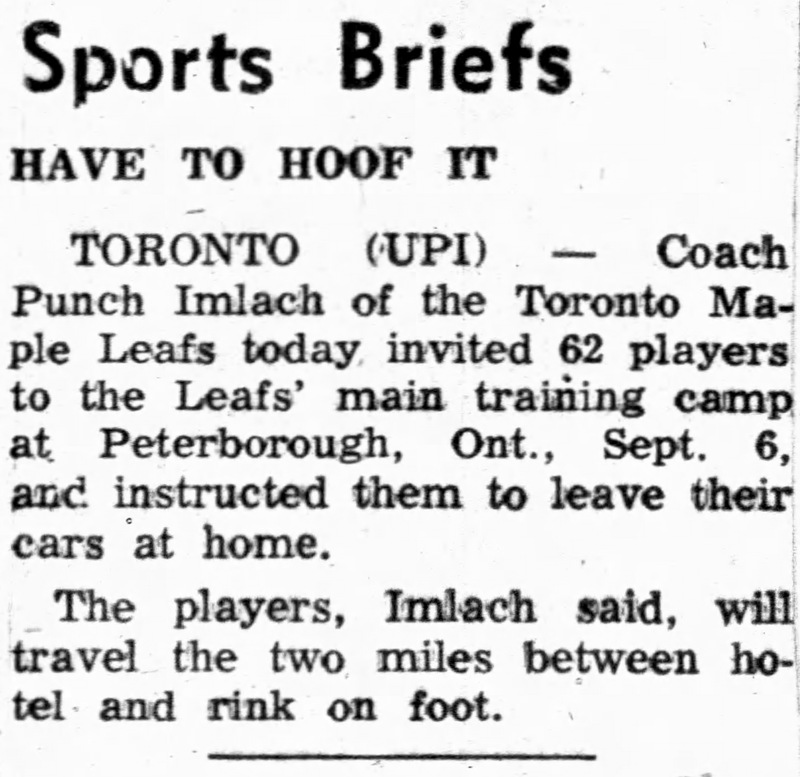 He’d already left his captain at home in Toronto, defenceman Jim Thomson, because treachery: he’d had the gall to be trying to help organize a players’ association. He didn’t fire his rookie coach that day, Howie Meeker, nor the GM, Hap Day, though many of the newspapermen had come expecting one or both to be sacrificed. The very first year the Leafs were Leafs, they missed the playoffs. That was 1926-27, the year Conn Smythe took control of the team with a group of investors and in mid-season exchanged an old name (St. Patricks) and colour (green) for news. The team had three coaches that year and ended up bottom of the Canadian Division. They played their final game at home, hosting Montreal. Only a small crowd showed up, most of whom had come to see Howie Morenz and the Canadiens. 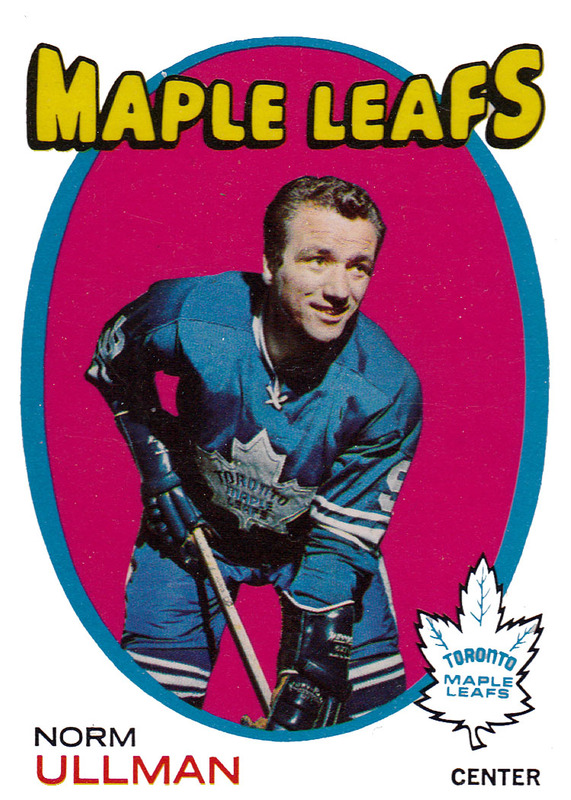 But the Leafs played as if life depended on it, The Daily Star said, and ended up winning by a score of 2-1, with Bill Carson playing a prominent role along with, on the Leaf defence, Hap Day. 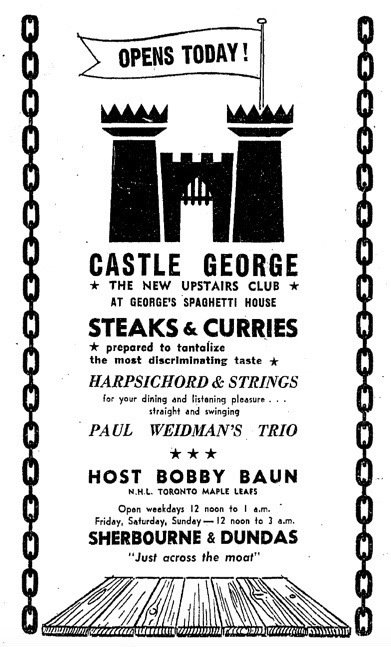 In 1930, the club wanted to send the players off to their summers in style one the games were over, with a banquet, but it was hard to organize. Charlie Conacher, Red Horner Ace Bailey, and Busher Jackson were off in Montreal, watching the Maroons and Bruins in their playoff series as guests of a “Toronto hockey enthusiast,” while back in Toronto, the rest of the team was packing up for home. I don’t know whether they ever got their meal, but the Leafs returned to the playoffs the following year. The year after that, they won the Stanley Cup. Just to be keeping it positive. If only, wrote Jim Coleman in The Globe and Mail in ’46, the Leafs had a goaltender like Durnan, and defencemen of Reardon’s and Bouchard’s quality, maybe a front line resembling the likes of Lach, Blake, and Richard — well, then they’d be the Canadiens, of course, who did indeed end up winning that spring. For solace, at least, the Leafs triumphed in the last two games they played that season, whupping Detroit 7-3 and 11-7. And that had to have felt pretty good. As the spring playoffs went ahead without his team, Conn Smythe was feeling — surprisingly? — peppy. If nothing else, he noted for anyone who wanted to hear, the Leafs had rights to and/or options on a veritable mass of hockey talent for the year coming up, 82 players. True enough: the Leafs did take home four of the next five Stanley Cups.